Nothing says fun and sun like Flip Flops sandals! They are a fantastic gift idea for your guests, especially if you’re having a beach wedding. What could be a more perfect item to give a bunch of people running around in the sand? For your beach wedding, think about presenting a pair of Flip Flops to your guests upon their arrival, so that they can then make their way across sand with ease and in comfort. Moreover, how many weddings have you been to when girls kick off their heels and dance without shoes? Flip flops will be a great way for them to rest their weary feet and have fun all night long! You can decorate them in a variety of ways: Why not personalize each pair with your wedding date or names and match them with your wedding colors? 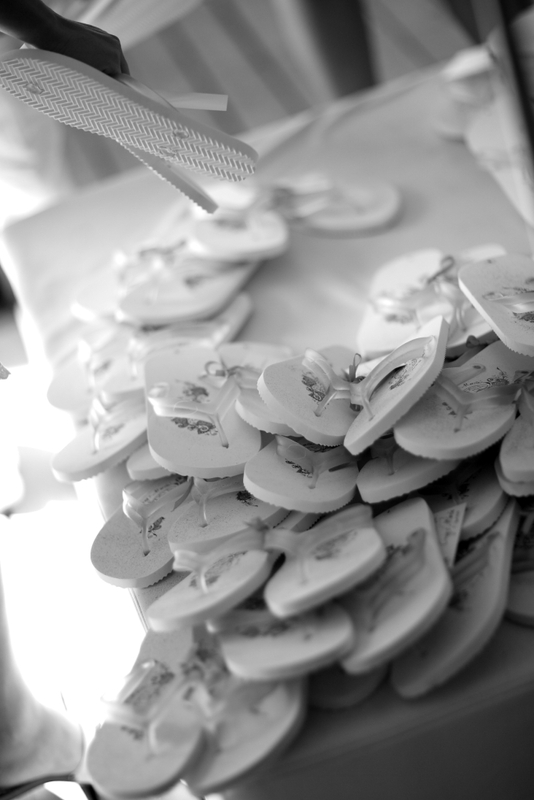 Whatever way you decide to custom them, they will always remind your guests of your beautiful beach wedding. 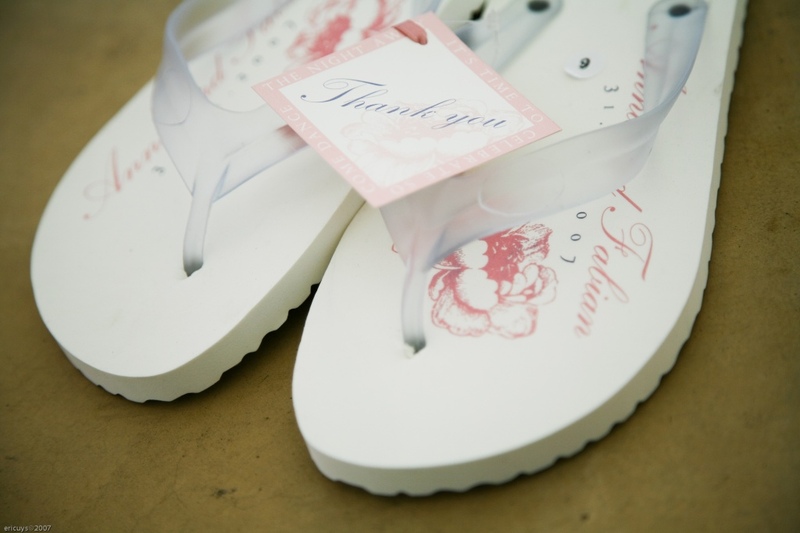 Flip Flops are a fun and useful gift to thank your guests for attending your perfect day!